I have already discussed side by side comparison of Zerodha vs Sharekhan and I have chosen 2017’s top 5 brokers of India. A broker was my favourite only due to their research reports way back in 2011-2012 was IDBI Paisabuilder (now IDBI Direct). So in this post, I shall discuss the pros and cons of IDBI’s brokerage arm and let’s see the side by side comparison of IDBI Direct vs Zerodha. IDBI Paisabuilder is operating in equity, derivatives, mutual funds and IPO. As per their website they are going to launch currency trading very soon. There is another plan for IDBI Paisabuilder called as Ace Trader plan where the company charges less brokerage for traders who are trading on volume. 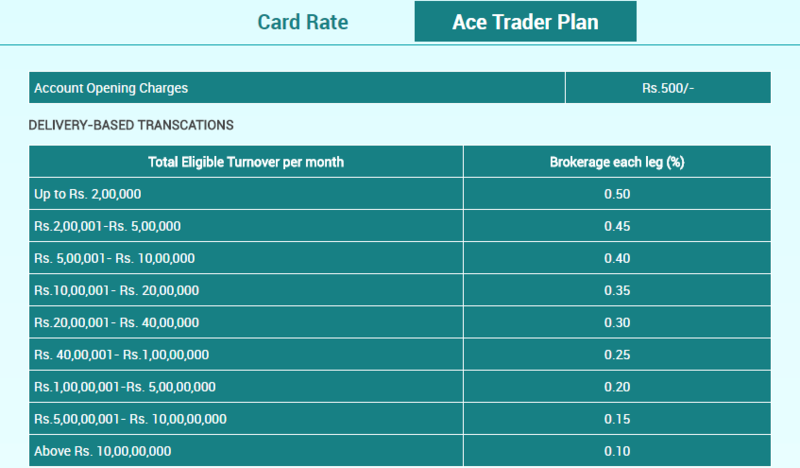 In the Ace Trader plan, the equity delivery brokerage can be as low as 0.1% if the trader’s turnover is ten crores. The futures trading brokerage can be lowered down to 0.02% where the trader’s volume is more than 10 crores. IDBI Paisabuilder also has separate HNI Advisory service to cater to high net worth individuals. They offer trading platforms in the form of web trader, the desktop trading platform called INFINITY, mobile trading app, dealer-assisted trading and dial-n-trade. The official website of IDBI Direct has a very illustrative demo page which is really easy to understand for the traders. Now, previously I have already discussed that I liked IBDI Paisabuilder mainly due their research reports way back in 2011. That time they were publishing highly accurate research calls on Nifty index based on Advanced Get analysis. Nowadays too they still publish their research reports, but somehow I now miss their Elliott Wave based accurate index research. May be that research team has changed now. Delivery brokerage Zerodha is clear winner, 0% delivery brokerage charged by Zerodha, while IDBI Paisa Builder charges up to 0.50%. That means, in 2 lakhs turnover you pay Rs. 0 in Zerodha and Rs. 1000 in IDBI Direct. In futures trading brokerage comparing IDBI Direct vs Zerodha, again Zerodha is a clear winner, Rs. 10 per executed order charged by Zerodha vs upto 0.05% brokerage charged by IDBI Paisa Builder. Options brokerage also Zerodha is a clear winner as IDBI Direct charged huge Rs. 100 per lot per leg, hence in 1 lot options buy and sell a trader has to pay huge Rs. 200 for buy and sell, while Zerodha will charge only Rs. 40 for buying and selling for unlimited lots. 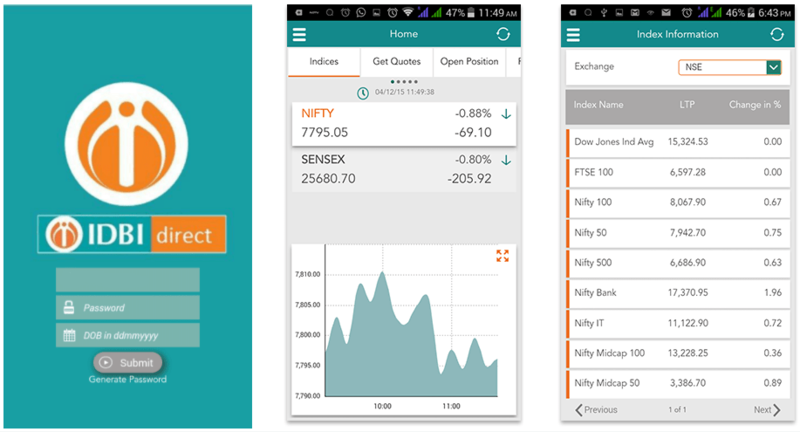 Zerodha Kite mobile app also leading way ahead with only basic operations are possible in IDBI mobile app while advanced charting and trading is possible in Zerodha Kite. While comparing IDBI Direct vs Zerodha, IDBI leads only in 1 segment, i.e. research. Zerodha being a discount broker has no research wing. So, we recommend traders to open account in Zerodha instead of IDBI Direct.